How do you survive the most violent day of your life? On a sunny October morning in 2000, a man enters an Atlanta bookstore and opens fire, a vicious shooting that kills and injures over a dozen innocent people. 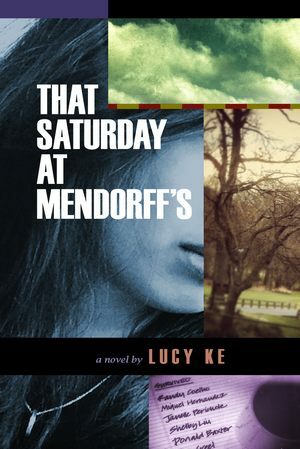 Years later, journalist Mollie Dobbs goes on a search for the surviving victims — to learn who they had been, and how they changed after that Saturday at Mendorff's. Among them are Hildy McNulty, widow of the gunman, a needy, highly strung woman who accepts notoriety as a way to get attention; Casey Siddons, an elderly theater producer whose mind is overtaken by Alzheimer's but tries to stop the gunman in a lucid moment of painful remembrance; Shelby Liu, a beautiful Asian TV reporter, who only stopped in the store to take her little nephew to the restroom, and suffers a superficial facial wound but a deep unyielding loss; Jeb Creel, the unemployed business editor who receives the most brutal injuries, starts talking to his comic book hero, and is believed to inherit the "lunatic mantle" dropped by the gunman; and Rob McNulty, the gunman's son, who leaves home to try and find peace by running a lighthouse in a quirky seaside town in Maine.